Posted: Wednesday, Nov. 14, 2018, 2:21 p.m.
On Tuesday, Nov. 13, Clackamas County Sheriff's Office deputies responded to a reported strong-arm robbery -- in which one suspect threateningly brandished a pair of scissors -- at the JCPenney at Clackamas Town Center. Two suspects were arrested right in front of Sheriff's Office headquarters, where they had fled. The incident began shortly before noon on Tuesday, when JCPenney loss-prevention personnel confronted two women and a man. They'd seen the male -- Mateo George Emerson, 22 -- select a white pair of Nike gym shoes from a display and conceal them in a black backpack. One of the two women -- Aracelly Medina-Parker, 19 -- reportedly selected a pair of Adidas gym shoes from a display and put them on her feet, leaving the yellow sales tag on the Adidas and her old shoes behind. During the confrontation, Mateo Emerson reportedly pulled a pair of scissors from his pocket and began waving it at the loss-prevention officers while telling them, "Get back." Emerson, Medina-Parker and the third woman then fled the mall. Responding deputies quickly spotted the trio running down the street -- conveniently, the suspects were fleeing on Sunnybrook Boulevard, right in front of Clackamas County Sheriff's Office headquarters. A search produced additional stolen loot, including a JCPenney brand watch and necklace/pendant set. Madina-Parker was caught wearing a different pair of shoes entirely, a pair of maroon Puma gym shoes; she admitted to deputies that the Puma shoes had been concealed in a bag, and she put the Pumas on after she fled the mall. 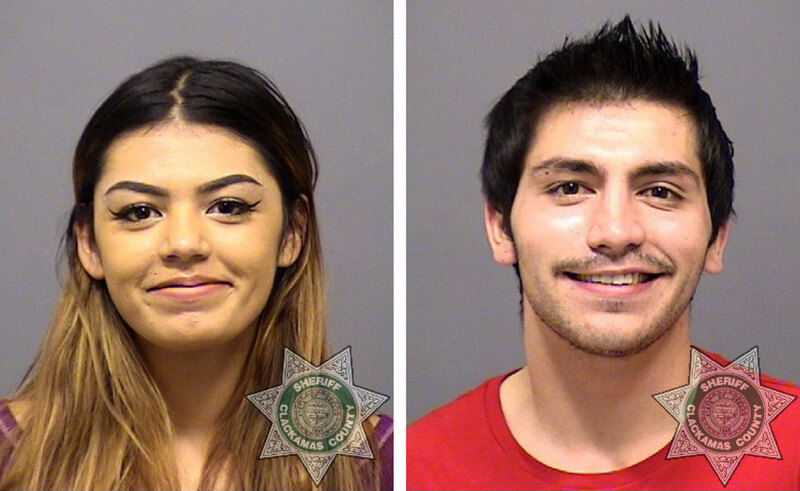 Mateo Emerson and Aracelly Medina-Parker were taken to Clackamas County Jail and booked. Emerson was charged with Robbery III and Theft II; Madina-Parker was charged with Theft II. Their booking photos are attached. The second woman was not arrested. 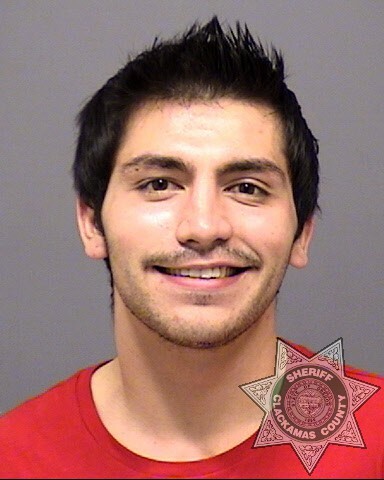 Mr. Emerson is well-known to authorities, with additional Clackamas County Jail bookings this year on Oct. 12 (on Menacing and Harassment charges), August 19 (Disorderly Conduct II) and April 18 (Menacing). 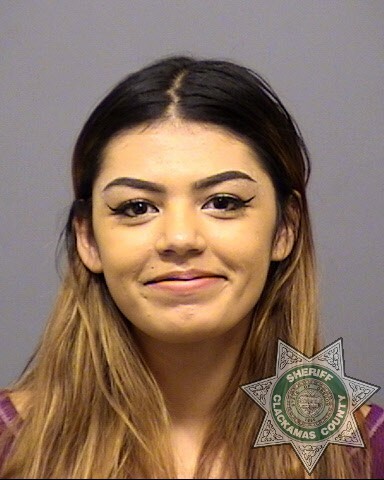 Anyone with additional information on Mateo Emerson and/or Aracelly Medina-Parker is urged to contact the Sheriff’s Office Tip Line -- by phone at 503-723-4949or by using the online email form at https://web3.clackamas.us/contact/tip.jsp. Please reference CCSO Case # 18-030709.